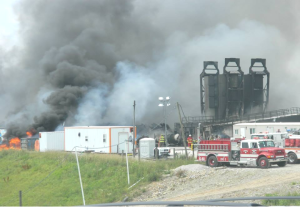 Home » Blog » Fire and Explosion Were Bad Enough – Fish Kill Shows Toxic Water Contamination. People have a right to know – what went in the water? 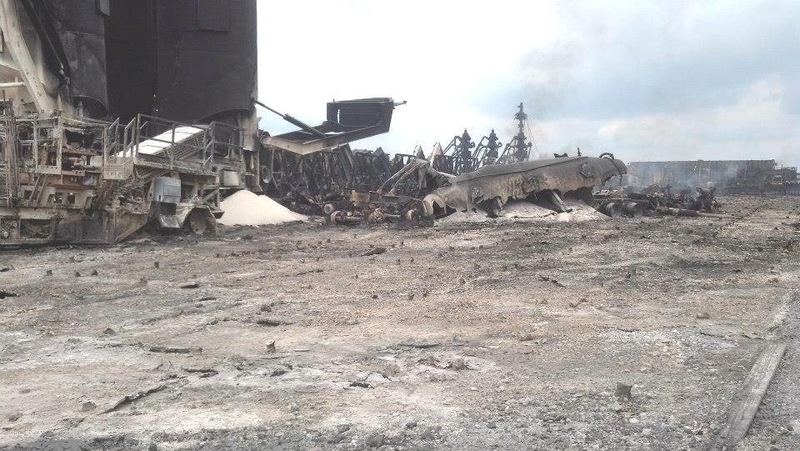 Fire and Explosion Were Bad Enough – Fish Kill Shows Toxic Water Contamination. People have a right to know – what went in the water? Hydraulic tubing had caught fire at Statoil’s Eisenbarth well pad, resulting in the evacuation of 20-25 nearby residents.1 Statoil North America is a relatively large Norwegian-based company, employing roughly 23,000 workers, that operates all of its OH shale wells in Monroe County.2 The Eisenbarth pad has 8 wells, 2 of which are active.1 However, the fire did not result from operations underground. All burning occurred at the surface from faulty hydraulic lines. When we arrived at Opossum Creek, which flows into the Ohio River north of New Martinsville, WV, it smelled like the fresh scent of lemon pine-sol. A quick look revealed that there was definitely something wrong with the water. The water had an orange tint, aquatic plants were wilting, and dozens of fish were belly-up. In several shallow pools along the creek, a few small mouth bass were still alive, but they appeared to be disoriented. As we drove down the rocky path towards the upstream contamination site, we passed other water samplers. One group was from the Center for Toxicology and Environmental Health (CTEH). The consulting firm was sampling for volatile organic compounds, while we were looking for the presence of halogens such as Bromide and Chloride. These are the precursors to trihalomethanes, a known environmental toxicant. After collecting water samples, we decided to visit the site of the fire. As we drove up the ridge, we passed another active well site. Pausing for a break and a peek at the well, we gazed upon the scenic Appalachian hillsides and enjoyed the peaceful drone of the well site. Further up the road, we came to the skeletal frame of the previous Statoil site. 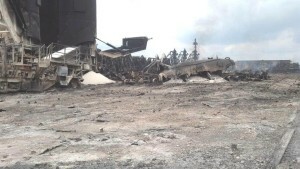 Workers and members of consulting agencies, such as CTEH, surrounded the still smoking debris. After taking a few pictures, we ran into a woman who lived just a half-mile from the well site. We asked her about the fire and she stated that she did not appreciate having to evacuate her home. Surrounding plants and animals were not able to be evacuated, however. Unfortunately, this sentiment is just another example of the general public being ill-informed about all of the aspects involved in unconventional drilling. This knowledge gap is largely due to the fact that oil and gas extraction companies are not always transparent about their operations or the risks of drilling. In addition to the potential for water pollution, earthquakes, and illness due to chemicals, air pollution from active unconventional well sites is increasing annually. Using prior years’ data, from 2010 to 2013, we determined that the average CO2 output from unconventional gas wells in 2013 was equal to that of an average coal-fired plant. If growth continued at this rate, the total emissions of all unconventional wells in West Virginia will approximate 10 coal-fired power plants in the year 2030. Coincidentally, this is the same year which the EPA has mandated a 30 percent reduction in CO2 emissions by all current forms of energy production. However, recent reports suggest that the amount of exported gas will quadruple by 2030, meaning that the growth will actually be larger than originally predicted.5 Yet, this number only includes the CO2 produced during extraction. It does not include the CO2 released when the natural gas is burned, or the gas that escapes from leaks in the wells. Willis, Jim ed. (2014). 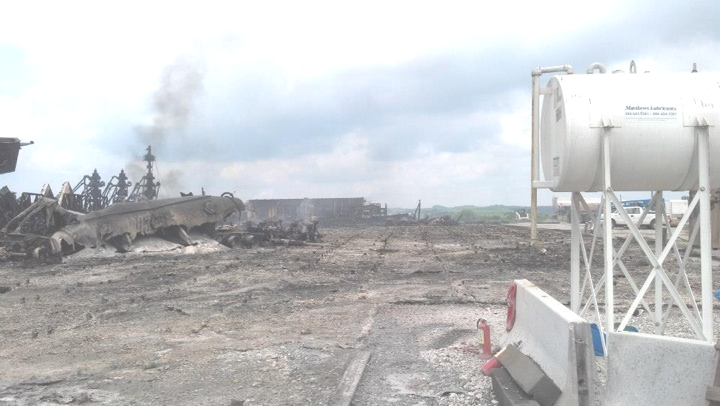 Statoil Frack Trucks Catch Fire in Monroe County, OH. Marcellus Drilling News. Woods, Jim. (2014). Fish Kill in Eastern Ohio Might be Linked to Fire at Fracking Well. The Columbus Dispatch. Cushman, John H., Jr. (2014). US Natural Gas Exports No Better for Climate than China’s Coal, Experts Say. Click here for EPA Report: Questions remain – how to test for toxic chemicals if we don’t know what they are, and even if we do, what if there’s no test and we don’t know the long-term effects?